The major appliances segment includes so-called white goods, such as washing machines, dishwashers and refrigerators. The worldwide revenue of US$59 billion in 2017 is expected to increase to US$61 billion by 2021. Dominated by replacement sales and a higher price level, the major appliances segment accounts for more than 60% of the revenue of the household appliances market, but only 16% of the volume sales. This report from the series of Consumer Market Outlook segment reports gives an overview of the major appliances market from an international perspective. 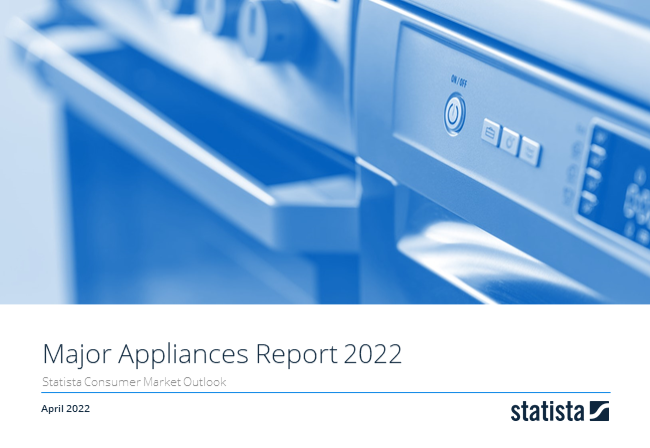 You can find further information on the topic on Consumer Market Outlook/Major Appliances.